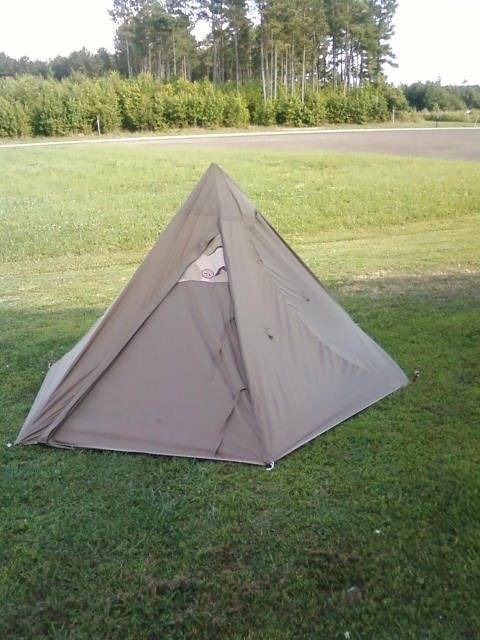 Raging River Trading Company is offering this Chesapeake Bay Canoe Expedition Tipi Tent. Made to heavy duty standards using water resistant and fire retardant 210 D Oxford nylon in Coyote Brown material and a edge trim on the bottom for complete abrasion resistance. Erects in less than two minutes. 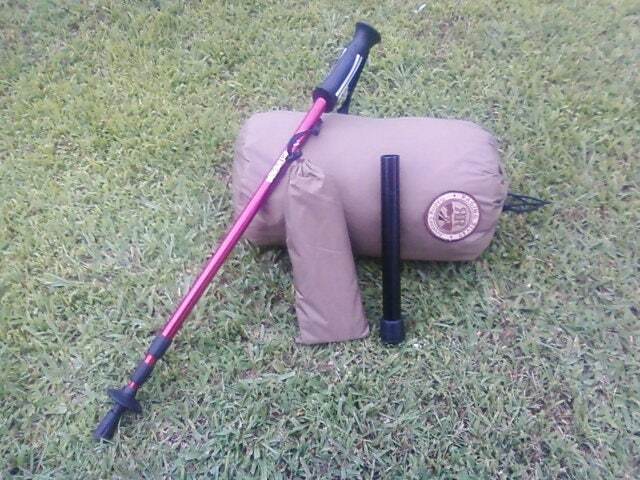 Uses a standard adjustable trekking pole and extension (included) as the tipi tent pole. The floor panel is separate from the main body, and is ordered separately. 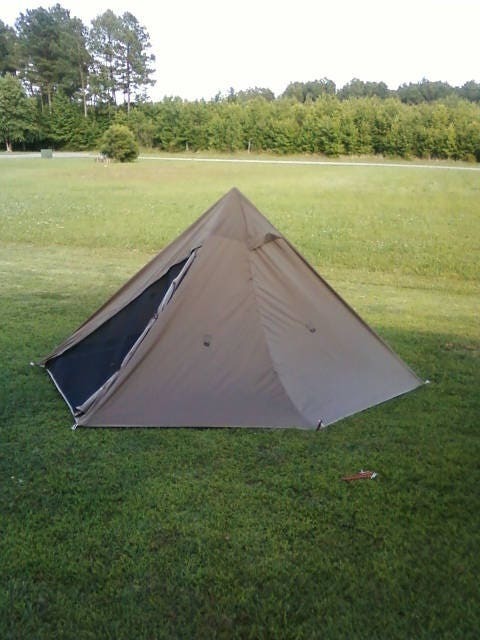 Also comes with a cinch bag carrying case and 12 tent stakes. 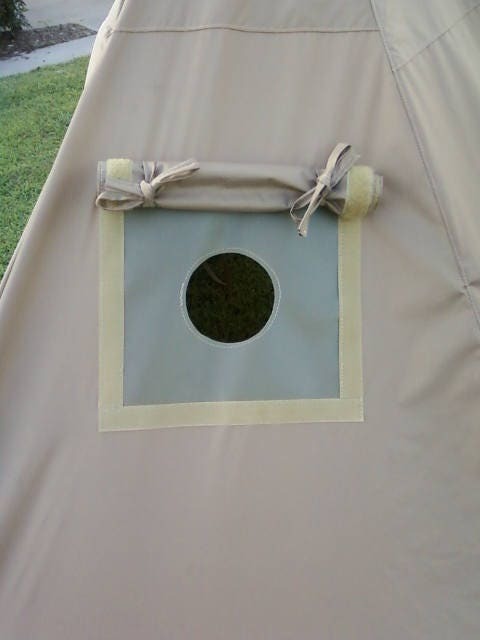 Zippered main door and bug screen. It has an air vent in the peak and on back of one panel. 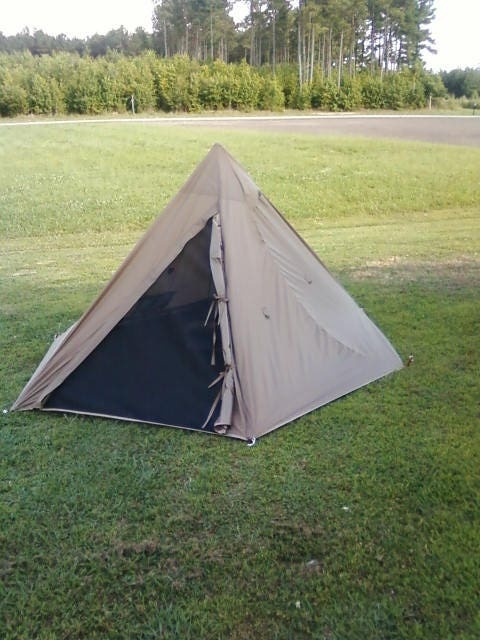 This tent is shown with a wood stove heater jack (stove heater jack included). To order, just send us a conversation or call us, highlighting the options you want and we will create a custom order form for you to place your order on. The price will be $350.00 plus any of the options that you choose plus shipping.